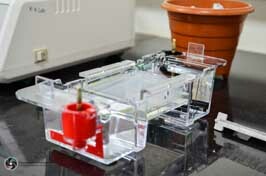 Research at the department of biological sciences is multidisciplinary. General Note: The Senate of the Institute (160.02) has approved that Ph D qualifying examination will be conducted in two areas from the list of qualifying examination areas in the sub discipline of each department. Each student will choose two subareas; one of these must be the sub-discipline in which he/she proposes to undertake research after the consultation with his/her notional supervisor. As per requirement, each subarea may have several sections with a total of 150/160 marks for theory and 50/40 marks for viva. The duration of each theory examination will be 3.0-4.0 hrs. Viva may be conducted separately for each sub area. A student will get a maximum of two attempts for clearing the qualifying examination (Ref clause 8.05-8.11 of academic regulation). Course content of each area is given below. Life cycle of parasite (Plasmodium, Trypanosoma, Leishmania,Toxoplasma, Entamoeba, Giardia), and their vectors(Mosquitoes, Sandfly, Tsetse fly); Mosquito borne viruses(Dengue, chikungunya). Taxonomy and identification of parasites and vectors; Molecular biology of parasite and vector (with special emphasis to Plasmodium-Anopheles, Dengue-Aedes);Cellular and humoral mechanisms involved inimmunityto parasites;Immunomodulation in vectors;Vector parasite interactions and control strategies - Disease symptoms, Molecular approaches to diagnosis, Epidemiology, drug targets, vaccine strategies and proteomic approaches, prophylaxis, treatments to parasitic diseases and vector control measures, mechanisms of drug resistance in parasites or vectors. Drosophila life cycle & molecular aspects may also be included as a comparative to what is known about the Anophelines & Culicines. Plant tissue culture history; Requirements to grow in vitro plants; Micro propagation, its applications and limitations; Haploid production; Meristem culture; Somaclonal variations; Somatic hybridization: Protoplast isolation and culture; somatic hybrids production; Storing plant genetic resources; Secondary metabolites. 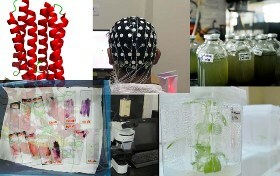 Genetic transformation of plants; Agrobacterium mediated transfer; Ti plasmid technology; Direct gene transfer methods; Vectors for plant transformation; Molecular markers (RFLP, RAPD, AFLP, SNPs, VNTR); Designing of promoters; Stress Biology; Regulation of expression of wheat and rice seed storage protein genes, regulation and evolution of the patatin genes of potato; expression of genes controlling fatty acid biosynthesis; manipulation of cereal protein and oilseed quality, genetic manipulation of pest resistance, plant disease resistance, strategies for engineering stress tolerance, strategies for improvement of crop yield and quality; Starch, polyfructans, bioplastics, the oleosin system, custom made antibodies, edible vaccines; Public concerns over GM crops and government regulations. Overview of Cardiovascular Diseases (Cardiomyopathies, Hypertension, Atherosclerosis and Stroke) Including Basic Understanding of Molecular and Physiological Aspects, Molecular Basis of Diabetes Type II; Neurological disorders: Basic Molecular Understanding of Parkinson's and Alzheimer's Disease -- Cause, Physiological Aspects and Novel Therapies. Cancer Classification Based on Origin, Markers and Histology; Mechanisms of Viral Oncogenesis; Proto-oncogenes (src, myc, ras and abl) & Tumor Suppressor Genes (Rb, P53); Growth Factors and Receptors: EGFR, PDGFR, IGFR, Integrin, Receptor Hyper-activation; Signal Transduction: PI3K-Ras-Akt, Jak/Stat, Wnt, NFkB, TGFβ; Immuno-evasion Strategies; Molecular Mechanism of EMT and Metastasis; Apoptosis (Extrinsic and Intrinsic), Telomerase and Cancer; Anti-cancer Drug Targets. Cell Mediated and Humoral Immunity, Antigens, Antibodies, MHC, Molecular basis of T and B cell antigen recognition and activation, Hypersensitivity, Immunity to Microbes, Immunological Tolerance, Major Cytokines, Complement system, Autoimmunity (including Type I Diabetes), Immunodeficiency, Transplantation, Basic Concepts in Vaccination. Organization of cells; Biomolecules (proteins, carbohydrates, lipids, nucleic acids); Enzymes: structure, isolation/purification, kinetics and mechanism of action; Biochemical energetics; Metabolic pathways: Carbohydrate metabolism, Biological oxidations, Lipid metabolism, Photosynthesis, Metabolism of nitrogen. Physical principles in the biological and biomimetic molecular systems; Conformational and energetical properties of biomolecules like amino acids, proteins, nucleotides, nucleic acids as well as biomimetic systems like monolayers and bilayers; Related physical phenomena in these systems like structural transitions, protein folding, membrane equilibria; Principles of major experimental techniques applied to understand these physical problems. Eukaryotic chromosome and its Organization(Chromosome and chromatin structure the Content of Genome, Clusters and repeats); DNA replication (Prokaryote and eukaryote), Transcription, its control and post-transcriptional modifications; Translation, its control and posttranslational modifications; Regulation of gene expression in prokaryotes and eukaryotes (Epigenetic modifications like DNA methylation Histone methylation ,acetylation and phosphorylation, DNA binding domains, Zinc fingers, steroid receptors, leucine zipper, Yeast GAL genes) Eukaryotic cell cycle control and regulation( basic regulation of cell cycle, Signal transduction pathways: MAP-Kinase Jak-Stat, PI3Kinase, Notch, Wnt and Integrin/E-Cadherin); Phage Strategies (Control of lytic cascades in T4, T7 and lambda phage, Maintenance of lysogeny, Repressor synthesis and binding, Balance between lysogeny and lytic cycle); Regulatory RNA Biology ( Riboswitch, Regulate gene expression by noncoding RNA, Attenuation and regulation by small RNA molecules, Gene silencing and RNA interference, antisense RNA) Plasmids as cloning vehicles; plasmid copy number control mechanism, Cosmids; Restriction enzymes, Ligation, Linkers, Adaptors Homo -polymer tailing; Different cloning strategies in gram negative and gram positive bacteria; Screening of Recombinant molecules; Expression vectors and protein purification; PCR, Reverse transcription-PCR (RT-PCR); Site directed mutagenesis; Nucleotide sequencing; Basic Techniques in Recombinant DNA Technology with emphasis on Electrophoresis, Blotting Techniques (Western, Southern, Northern Blotting), DNA and protein microarrays, DNA mediated transformation, viral transduction and electroporation. Cell and Tissue Culture: Uses, Advantages and Disadvantages; Primary Cell Culture; Characteristics of Cells in Culture; Sterilization & Media Preparation; Development and Maintenance of Cell Lines; Transformation & Immortalization; Cryopreservation; 3D Culture Method; Tissue Engineering; Cell Based Assays (Principle and procedure: Viability, Cytotoxicity, Staining and Visualization, Flow Cytometry); Scaling Up; Therapeutic & Biotechnological Aspects of Cell Culture. Basic Characteristics and Isolation of Embryonic Stem Cells, Adult Stem Cells; IPSCs; Molecular and Transcriptional Control of Stem Cells (cytokines, growth factors and transcription factors); Therapeutic and Reproductive Cloning; Stem Cell Plasticity, Stem Cell Niche, Cancer Stem Cells, Stem Cell Culture, Current Aspects of Stem Cell Therapy. Life Cycle and Development of Mouse and Zebra Fish; Classical Transgenic Production (pronuclear microinjection and blastocyst injection); Mouse Knock-out, Knock-in, Gene Trap, Hypomorphic and Conditional Knockout Strategies. Identification and Utility of Major Mouse Strains (congenic, syngenic and allogenic), Genetic Backgrounds in Mice; Zebrafish Transgenesis-Development and Methods. The Institute Biosafety Committee (IBSC) of the BITS, Pilani - K K Birla Goa Campus has been operational since 2015. All projects which involve any Biosafety regulations should be disclosed voluntarily by the PI before submission to the funding agency.